CLOSEOUTS. 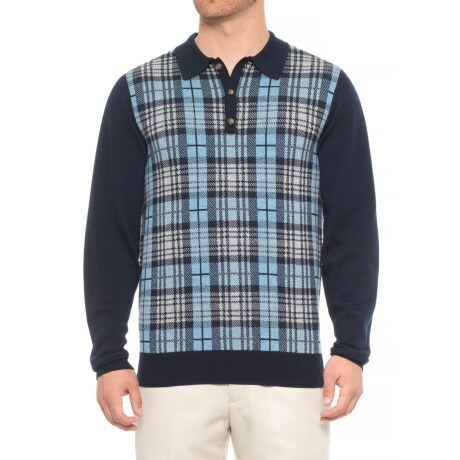 This Bobby Jones Cheshire Plaid polo sweater delivers warmth, style and quality craftsmanship in soft, toasty wool that looks good on the course and beyond. Available Colors: NAVY. Sizes: S, M, L, XL, 2XL.